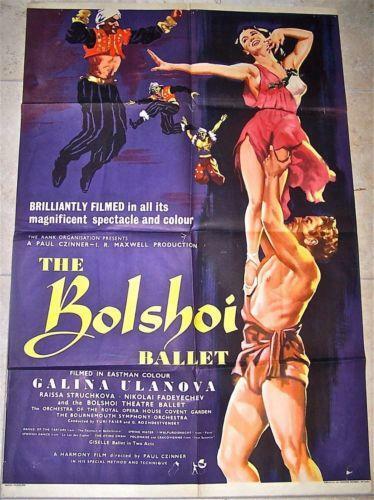 BOLSHOI BALLET ’57 LB U.K. 1 SH GREAT DANCE ARTWORK R-A-R-E! STUNNING! 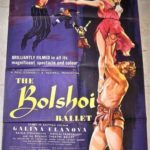 THE BOLSHOI BALLET (Rank Organisation, 1957)Size: Original U.K. One-Sheet (27″ x 40″).Condition: Folded as issued. 1″ tear near center cross-fold, 1″ tear bottom left & right. Rich color and terrific dance artwork. Overall in Very Good Condition. Please refer to the attached images and enlarge for a detailed view of this stand-out, scarce 1957 U.K. One-Sheet for THE BOLSHOI BALLET. BEN HUR - VINTAGE R69 ONE SHEET POSTER - POST OSCAR CHARLTON HESTON BIBLICAL!! BEN HUR – VINTAGE R69 ONE SHEET POSTER – POST OSCAR CHARLTON HESTON BIBLICAL!! 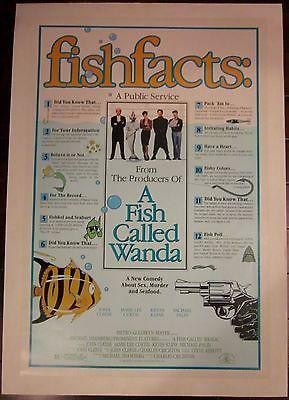 A FISH CALLED WANDA - ORIGINAL 1988 ONE SHEET LB POSTER - COOL FACTS STYLE ART!! A FISH CALLED WANDA – ORIGINAL 1988 ONE SHEET LB POSTER – COOL FACTS STYLE ART!! 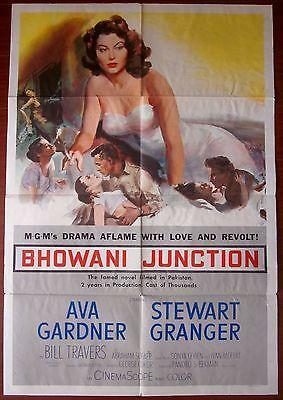 A NIGHT OF TERROR - VINTAGE R42 ONE SHEET POSTER - BASIL RATHBONE WEB THRILLER! A NIGHT OF TERROR – VINTAGE R42 ONE SHEET POSTER – BASIL RATHBONE WEB THRILLER!